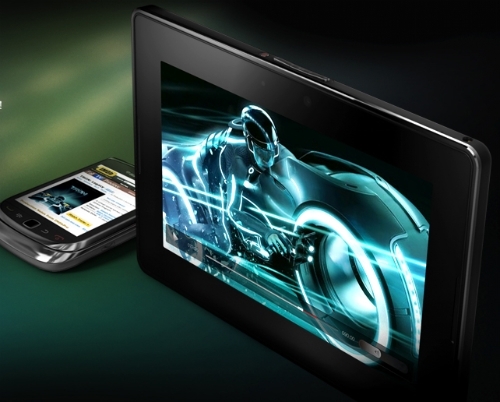 BlackBerry PlayBook prices slashed at US and Canadian retailers | BlackBerry Blast! Research in Motion's retail partners have started to drop prices on the BlackBerry Tablet after months of poor sales. Retailers including Staples, Best Buy, Future Shop and Walmart Canada have dropped the price of the PlayBook and at least one telecom partner, Rogers Communications Inc. has jumped on the bandwagon. The move is not unexpected as RIM co-CEO Jim Balsillie confirmed on the company�s second-quarter earnings call that price drops were imminent. The company reported only 200,000 PlayBooks shipped during the first full quarter of availability. Prices vary depending on the retailer, but you should expect to get at least $100 off the retail price. The PlayBook is following the road that the HP TouchPad went down and RIM needs to adjust its strategy. It is now evident that the strategy of staying in line with the iPad pricing does not work. Whether it's Android, webOS, or QNX, the public will only purchase an non-iPad tablet at a much lower price point. Amazon is set to launch their tablet and all indications point to a price point around $250. That makes much more sense.